First off, Happy Valentine's Day! I hope you all were able to spread a little love today, whether it was with your love, your best friends, your mama or all of the above plus some. We just finished eating the yummy dinner we made (yes - I managed to slice my finger, dang really good wedding knives!) 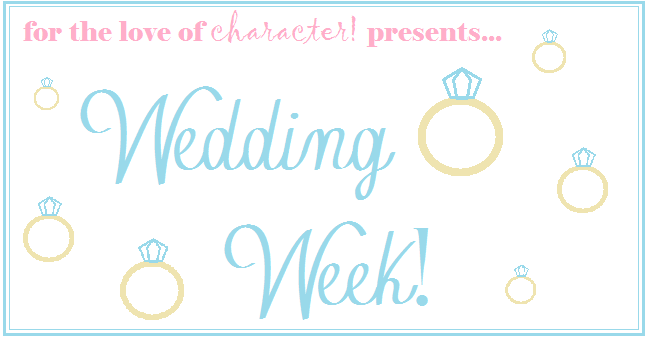 and I am now enjoying some wine while doing a quick post on flowers! Thought it was the perfect wedding discussion for Valentine's day. 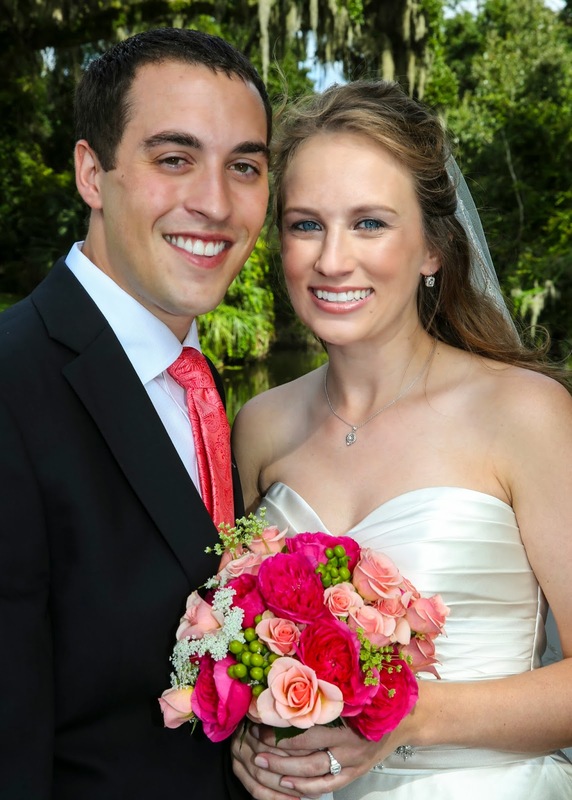 I absolutely loved the flowers at our wedding and they worked well with our colors. For the Flower girls we did rose crowns since they were little and needed a cute head accessory. 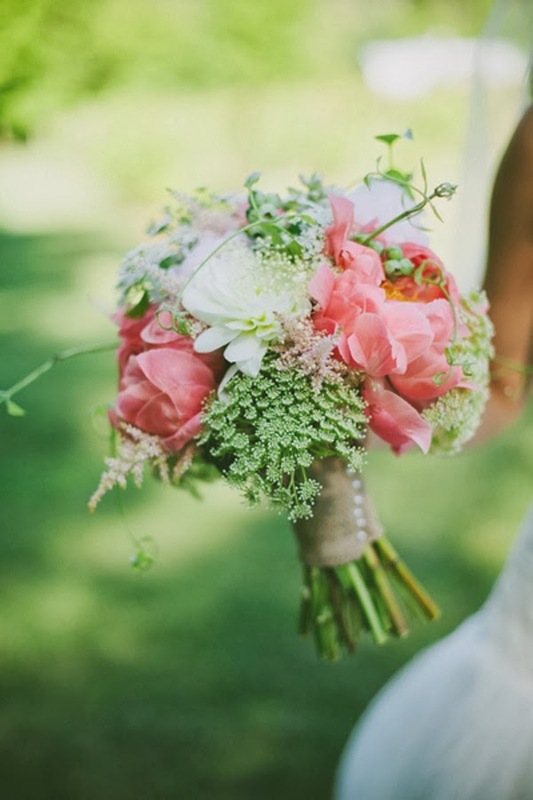 My bridesmaids had similar bouquets to mine, except my florist (Lori Parker) made them more coral and green since the dresses were alerady pink. 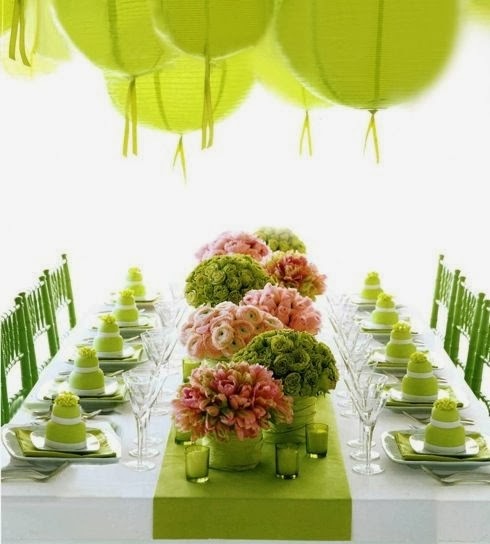 I think it is so fun to add some color with your flowers! I loved the hot pink garden roses mixed with the lighter pink roses. The accents are hypericum berries and Queen Anne's Lace - great fillers! Now that I've shared my flowers, I want to show you other inspirations and then I will give you some cost and season pointers that helped me! 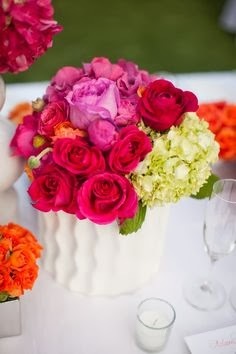 Love the bright flowers with the white vase. 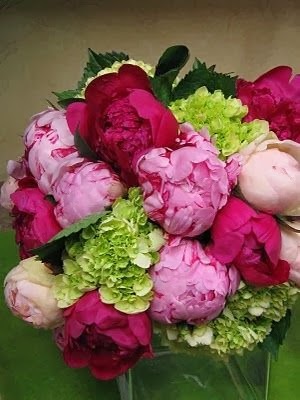 Peonies are amazing if you are getting married late spring - this is too die for! 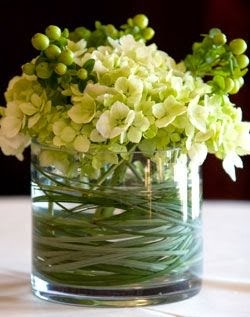 I love LOVE the simple look of this centerpiece. 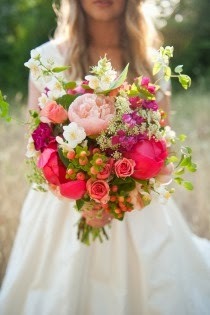 The color look of this picture inspired my bouquet - I love the look! Pretty for a fall or winter or early spring wedding. 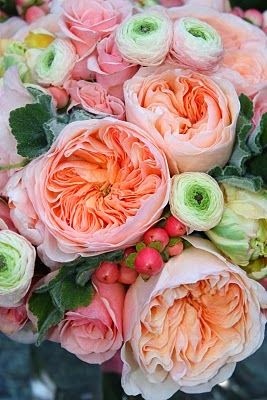 Love the peach and green look - so fresh! I fell in love with this look when planning my wedding. 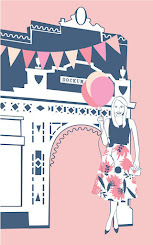 Very girly and fun - love for a pink wedding! Gorgeous for a fall wedding, but could work anytime. Great bridesmaid bouquet because it makes a small statement. 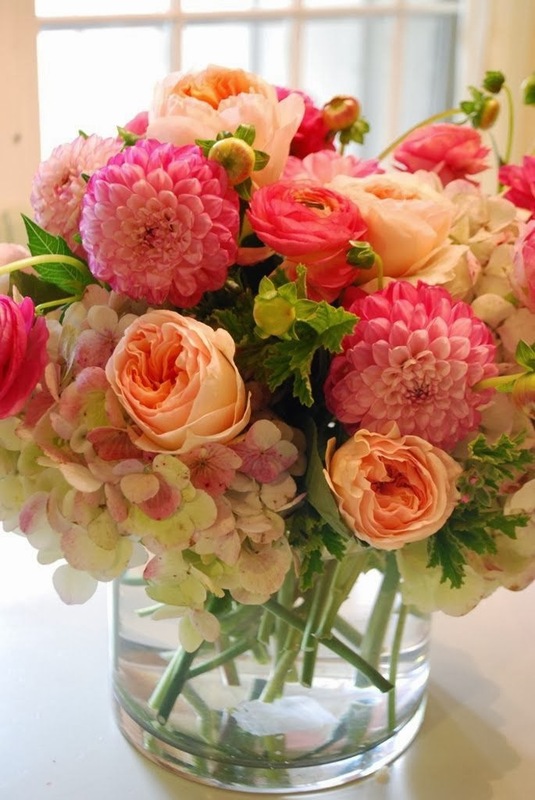 I love the same flower in one vase look, with multiple different flowers across the table. Tulip bouquet with gorgeous colors! Looks very romantic and sweet. 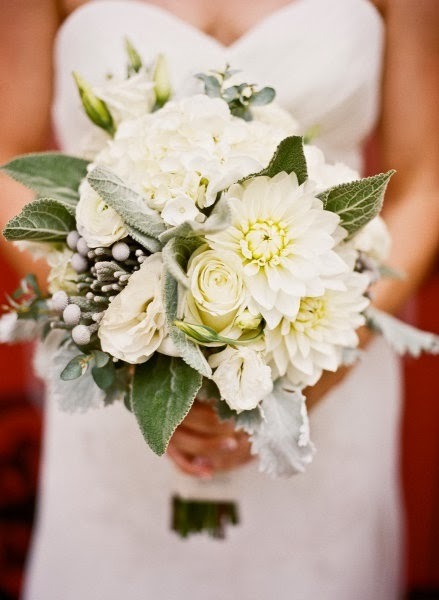 If you are going for a white or neutral look, I love that you can see the textures in this bouquet. 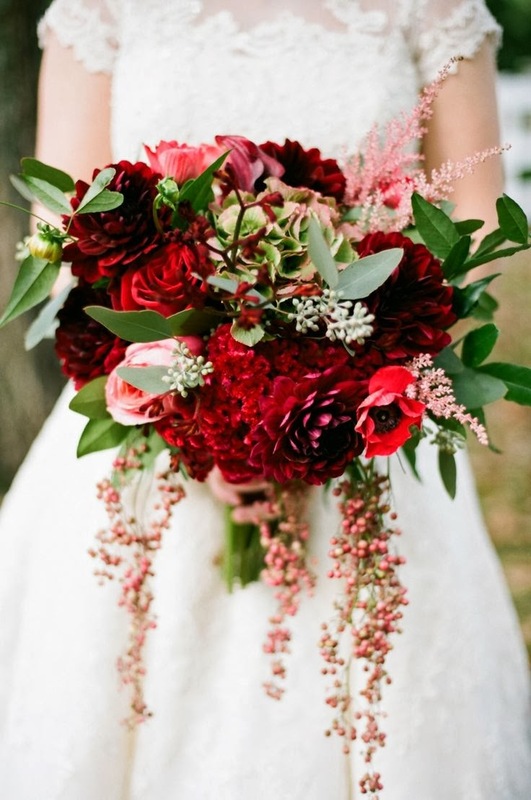 I love the deep reds and textures in this bouquet - drop dead gorgeous! 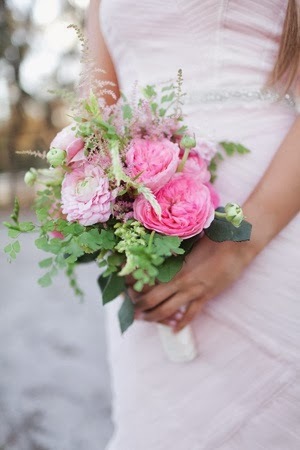 I think the shades of pink in this bouquet are amazing! 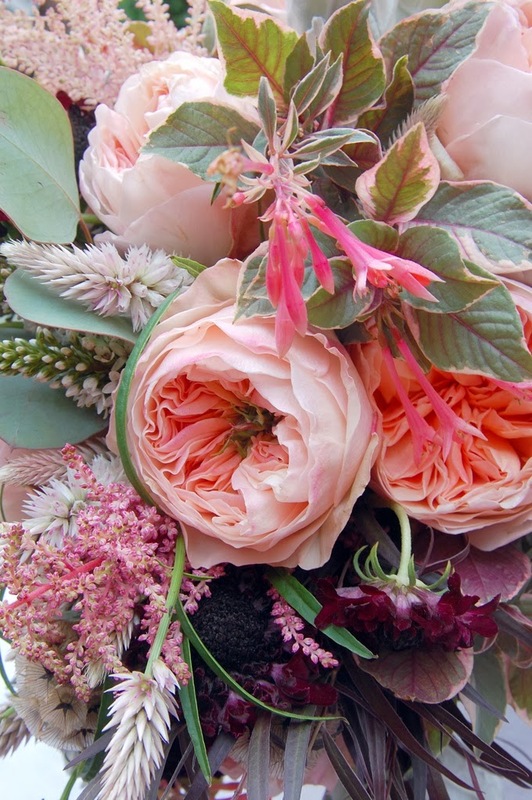 Hopefully all of these gorgeous - I mean GORGEOUS - flowers gave you some wedding inspiration. Granted, these are all a little over the top, but you can pick and choose from the bouquets what you like. 1. Flowers are expensive, but you don't have to spend a million dollars. Find a florist that is willing to work with your budget. The Plaid Giraffe does a great job of this if you are local! 2. 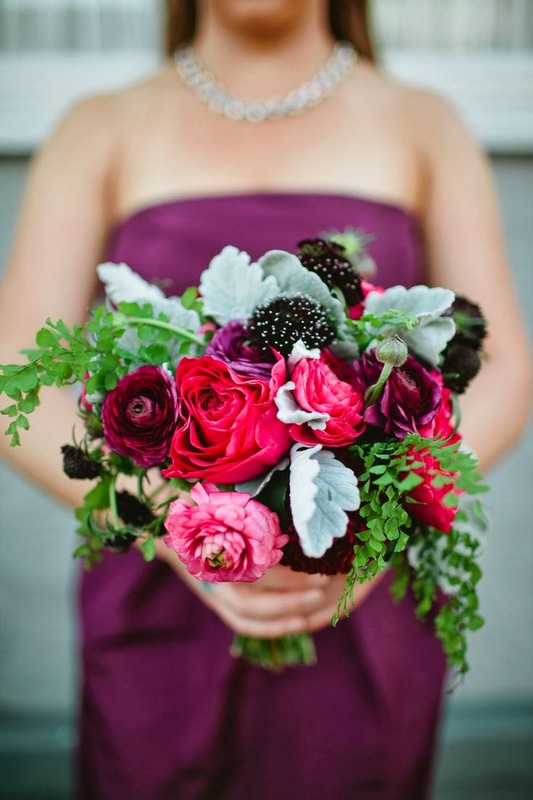 Focus on your bouquet if you have expensive flower types that you want. 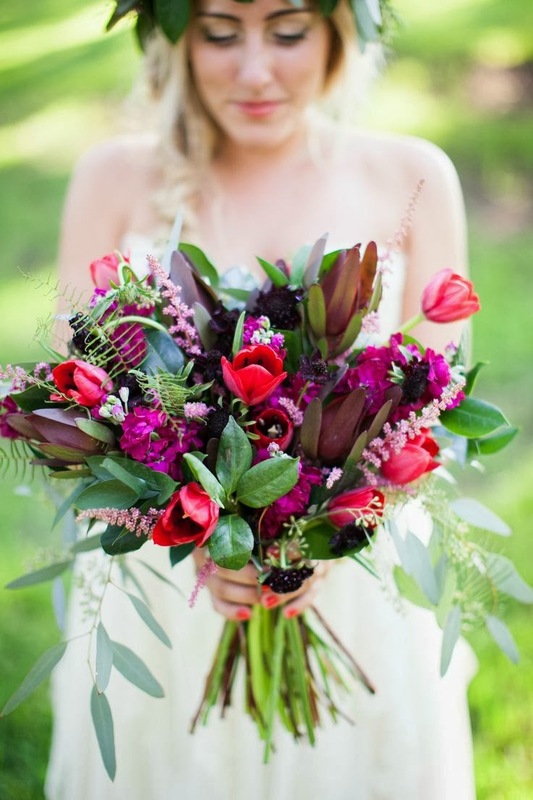 Your bouquet should be aMAZing and exactly what you are wanting, so splurge a little. You can cut back on the bridesmaids or make them smaller versions of yours. 3. 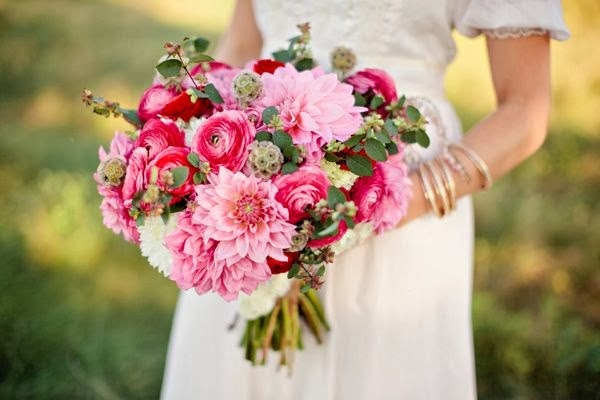 Use your bridesmaids' bouquets at the reception. My florist put empty vases on certain tables and my wedding coordinator filled them with the bridesmaid bouquets - they are so pretty, why just lay them on the table. I also used a bridesmaid bouquet for my "toss bouquet" or you can ask the florist to make one with the scraps leftover. 4. Keep seasons in mind. I got married in September which is a long ways from Peony season, so I used Garden Roses instead. Similar impact and they worked great. Look up the seasonal flowers and talk with your florist. 5. 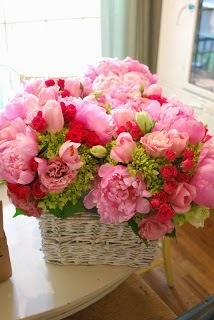 There could be cheaper options to the flowers that you love, if they are way too expensive. I used the smaller hydrangeas, since the large ones were more pricey. If you have a good florist, they will help you with this. Flowers are so pretty and can add a lot to your wedding, but you don't need to break the bank. 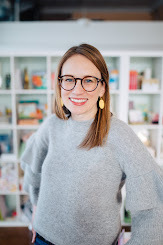 Find an awesome florist like I did and have fun with it! Now starting pinning your favorite ideas, because they love pictures!